Come and enjoy Valentine’s Night at The Walkhampton Inn. If you’re feeling romantic and are lucky enough to have someone you want to impress or shower with love, then join us for a wonderful 2 or 3 course meal with bottomless drinks! If you don’t need anybody to enjoy yourself then come along anyway and bring a friend or two for a fun night. 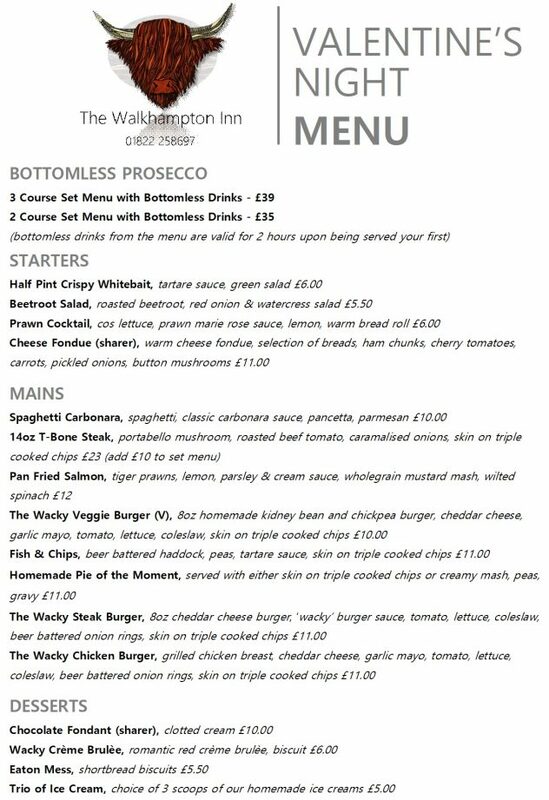 This special menu will be available from 5pm to 9pm on Thursday 14th February. 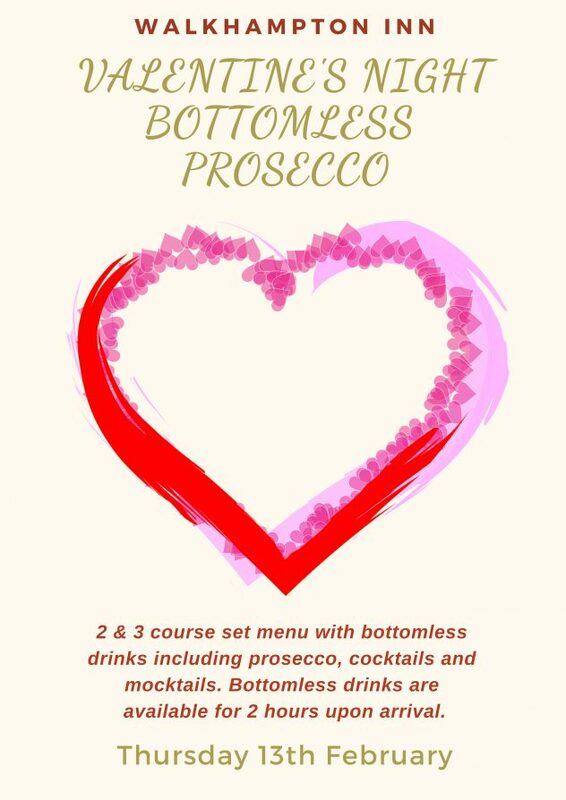 We are offering a 2 or 3 course meal with bottomless drinks off of our Valentine’s Drinks Menu which offers prosecco and virgin pina coladas amongst others. We will be releasing the menus shortly. A 3 course meal with bottomless drinks is £39 and a 2 course with bottomless drinks is £35. 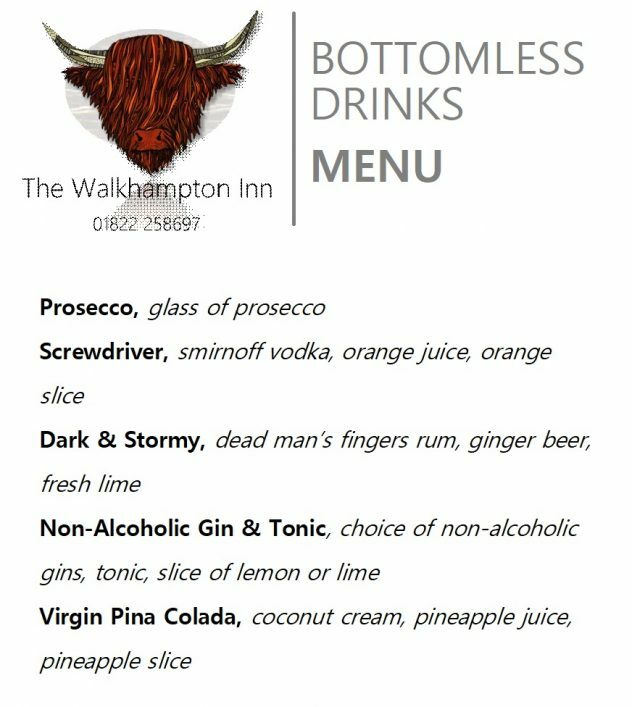 Bottomless drinks will be available for 2 hours upon arrival and only off of the valentine’s drinks menu.